Lungtien (stop A) and Gautai (stop B) are located at high large terraces within the Longitudinal Valley in the Luyeh area (Fig. 1). 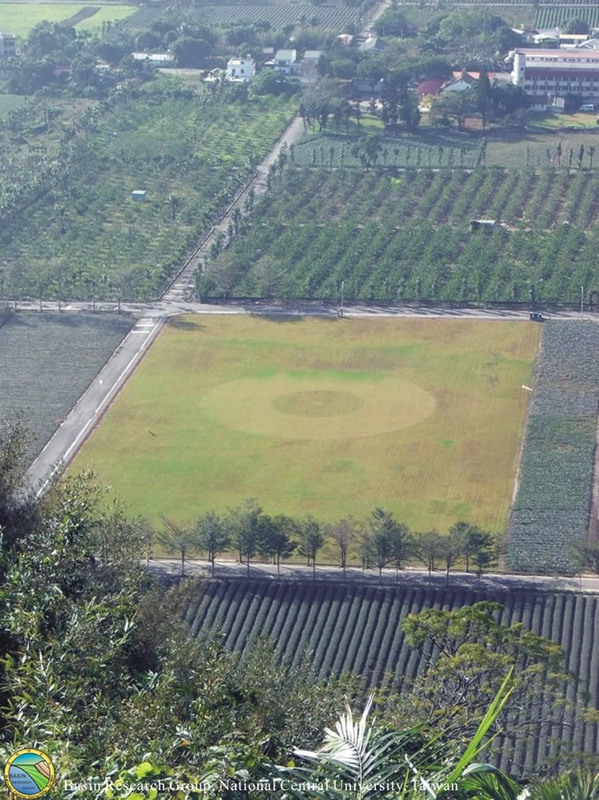 In effect, large terrestrial fluvial deposits, which extend from north of Luyeh to the entire Peinanshan area, appear to be products of the Peinan River and the Luyeh River from Pleistocene to present-day. Along the Luyeh river banks, at least 3-5 terraces can be observed at the different heights, indicating a rapid uplift and river incision in the area. The village of Lungtien is situated on the highest and largest, and presumably the oldest terrace of the Luyeh River. An N-S trending geomorphic scarp occurs at the Lungtien terrace. During the trip, we will observe this scarp at the stop A. The scarp of about 8-12 m high shows the east side going up. GPS data during the last 2-3 years indicate horizontal shortening occurred across the scarp (Chen et al., 2005). 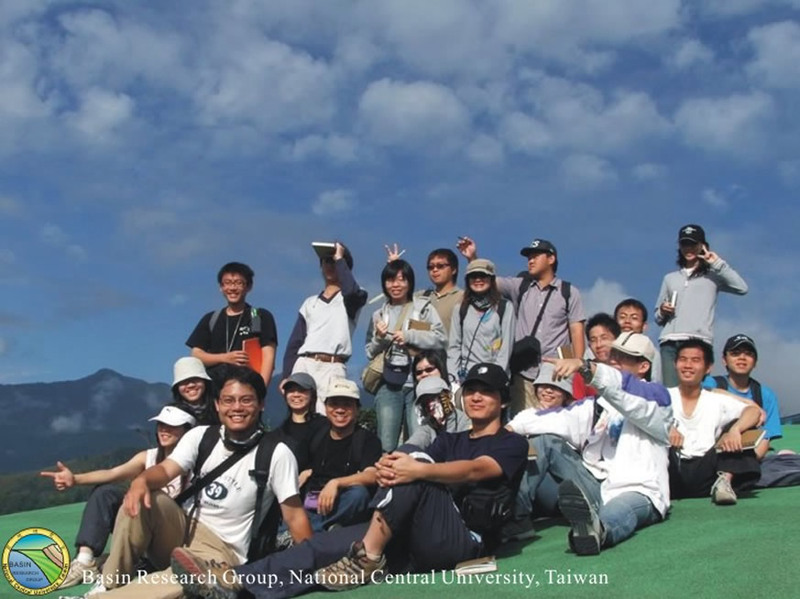 Together with the leveling data, it indicates that this scarp represents an active reverse fault scarp. In addition, we can also observe fractures with compressive features in the retaining walls at the foot of the scarp. This reverse fault scarp likely represents the surface trace of the Luyeh fault, which has been previously mentioned, although description is very limited. A few topographic profiles with detailed measurements across the scarp (Fig. 2) showed a growing anticlinal fold, which is presumably related to the reverse fault, in the hanging wall. We interpret this as that the Luyeh fault is probably locked at the shallow surface level. 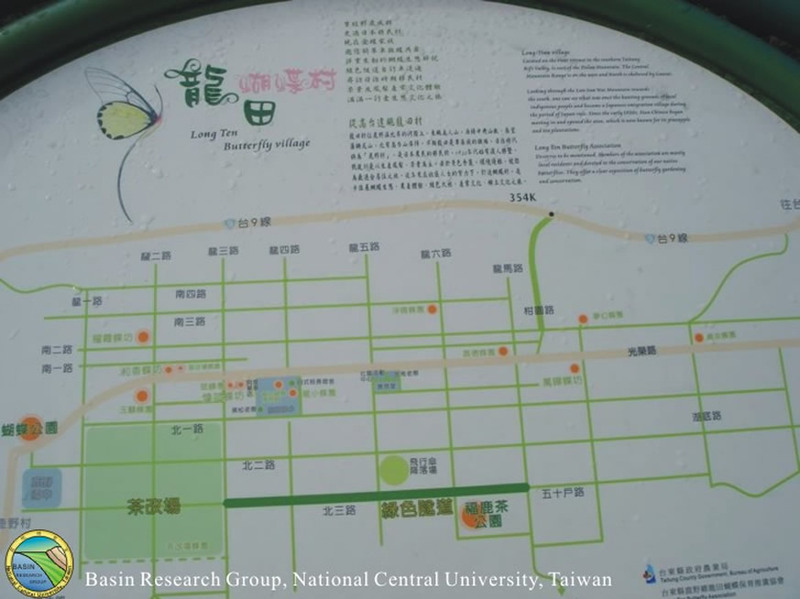 Based on the uplifting rate of 7 mm/yr measured from 2002-2003, the 11-m-high scarp indicates that the Lungtien terrace formed about 1500 years ago, thus the incision rate of the Luyeh River would be about 4 cm/yr (from a height of 60-70 m between the terrace and the river bed). This rate should be higher, if considered the co-seismic effect. 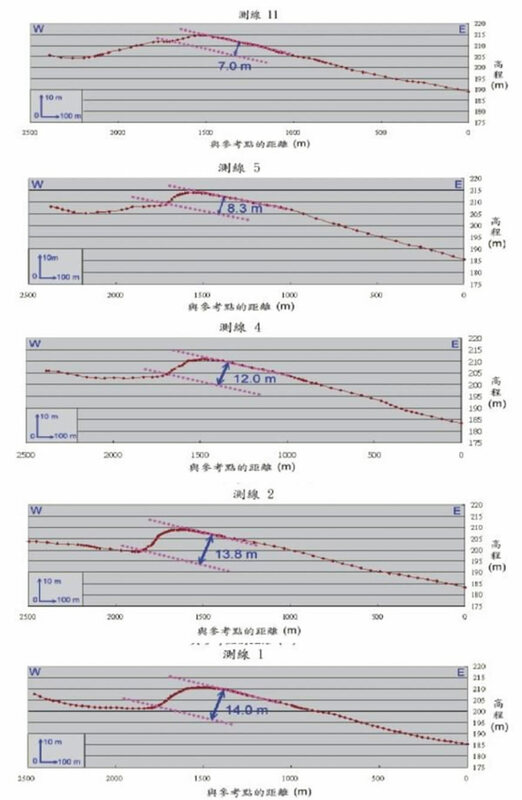 For example, the 2003 M 6.5 Chengkung earthquake has significantly accelerated the slip rate of the Luyeh fault (Chen et al., 2005). This all implies that the Luyeh fault is a rather active fault in the recent thousands years. 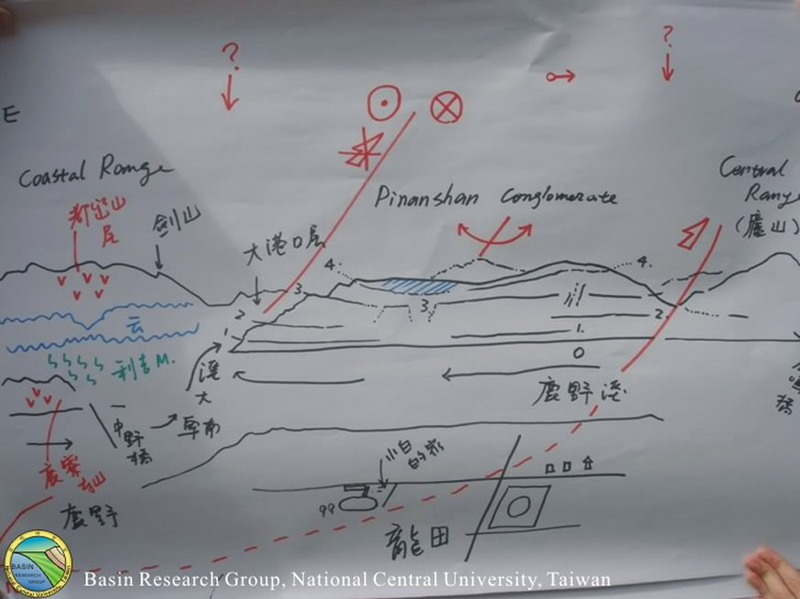 The Luyeh fault extends farther south and it likely affects significantly the deformation of the Peinanshan massif. 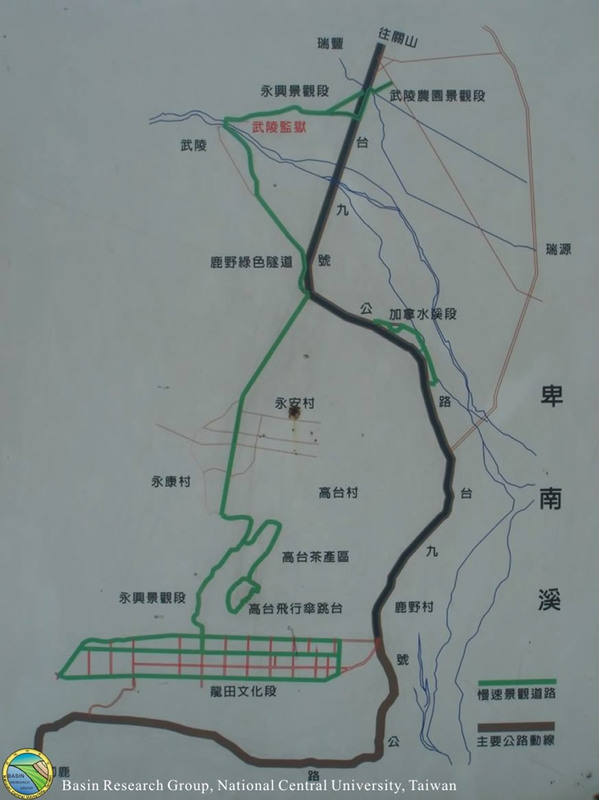 The Peinanshan massif is composed of Plio-Pleistocene shallow marine to fluvial deposits (Chi et al., 1983). This massif is deformed by two faults on its both sides, the Luyeh fault to the west and the Lichi fault to the east (Fig. 1). 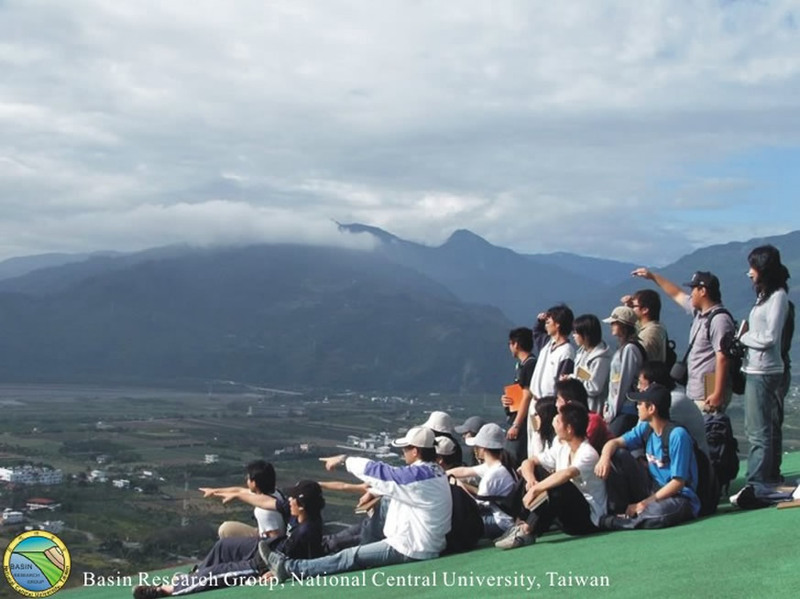 At the top of Gautai (Stop B), we can observe folded strata of the Peinanshan syncline. In addition, several levels of the terraces of the Luyeh River show clearly this growing syncline: older the terrace is (i.e., higher), more titled. 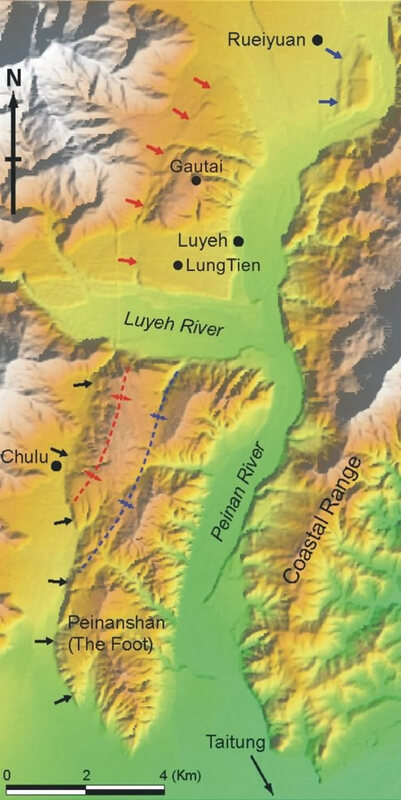 Shading relief of 40-m DTM in the Luyeh and Peinanshan area (from Shyu et al., 2005). 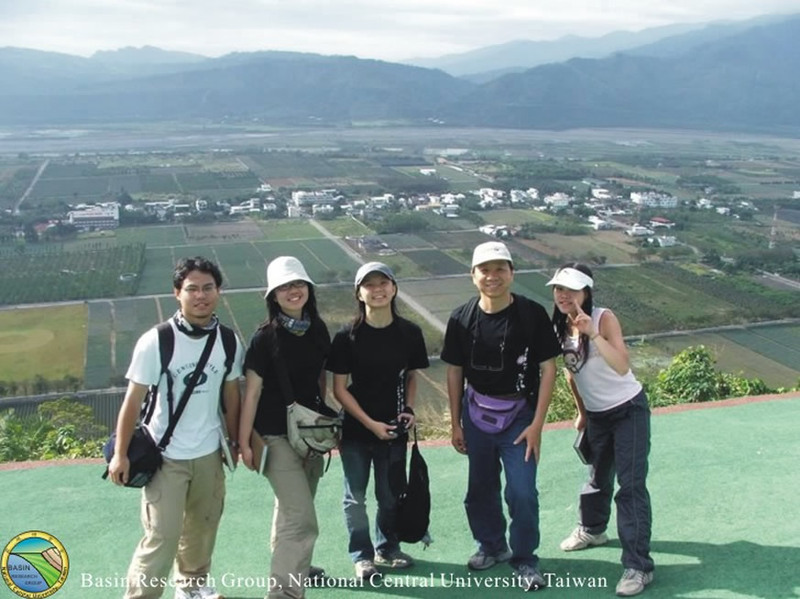 An immense fluvial deposits, including several levels of river terraces, occupy the Longitudinal Valley, a plate suture between Eurasia and the Philippine Sea plate. An active fault, the Luyeh fault, emerges on the western side of this fluvial deposits, showing geomorphic scarps (arrows) especially in the Luyeh area. Topographic cross sections across the Luyeh fault (after Chung et al., 2004). The scarp is estimated to be 8-12 high, which generally increases towards the south. Schematic geological cross section of the Peinanshan massif (modified after Lee et al., 1998). The Plio-Pleistocene fluvial deposits of the Peinanshan massif is likely bounded by two faults on its both side and deformed as a syncline.